Avengers: Infinity War- The Dark Superhero Movie We All Deserve | | Quiet Lunch. I’m about to come clean here. I am an Empire Strikes Back guy. You should know us by now. We are the pretentious idiots who swear up and down that ESB is one of the most important films out of the original Star Wars trilogy. I was seven when I first saw that film, and as the credits rolled, I was left with so much emotional baggage that I didn’t know what to do with myself. These characters– characters that I knew and loved– had their lives scattered and irrevocably changed which, in turn, left me changed. I won’t go as far as to predict that Avengers: Infinity War (2018) will radically impact the life of another seven-year-old in the same way. For now, that’s a leap I’m not willing to make. But the newest Avengers movie- the culmination of ten years of character development and plot setup dubbed the MCU- seemingly achieves the impossible. 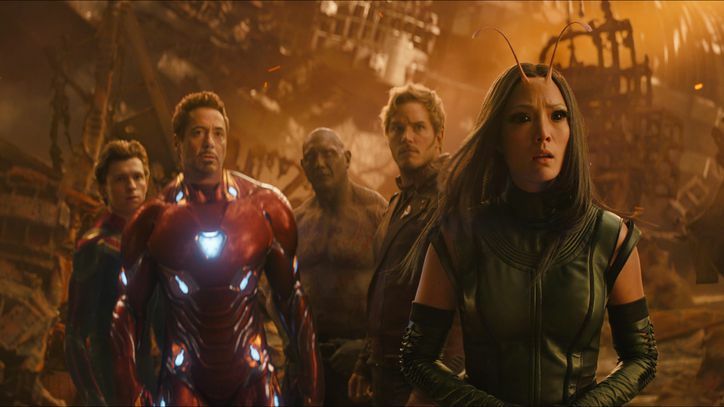 In a culture that is about the value of information and the story at the moment, a culture which sports a “peek-a-boo” attention span, Infinity War successfully delivers a payoff that is ten years in the making. So let’s break this down even further to see how these millions of pieces came together. Anthony and Joe Russo are my favorite directors in the MCU. Whedon did well to introduce the Avengers to the world, and Gunn helped usher in the humor for his Guardians entries. But, by far, Captain America: Winter Soldier (2014) remains (for me) the perfect balance of pathos and superhero joy: a movie that develops it’s characters, offers surprises, and serves up some action to pad that development- not the other way around. The Russo brothers have shown that they know how to balance an intense set piece with a tight narrative. What I worried about was the mesh of the different styles of films. Thor had three directors for his films and each one was drastically different in tone. Tony Stark is snarky, but not in the same way that Peter Quill is. The balance of these characters would have to be set by their directors, and I absolutely believe that the Russo’s nailed it. With a movie so jam-packed with capes and laser beams, it would have been easy to indulge in the visuals; flair over substance. Yet, Infinity War knows exactly what it should be and doesn’t give up. From the first fight to the finish, the size and scope of the film are presented with the audience in mind. Old and new worlds are visited, as well as old and new relationships. Powers and gadgets light up the screen while the pacing of each scene is played loose and fast. Here is Tony Stark and Doctor Strange. Isn’t this crazy. Watch them fight. It’s great fun and a lot of the success has to attributed to the Russo brothers behind the helm. Why Infinity War reminds me of Empire has less to do with its “Catch all the Feels” ending and more with the heart of the story. We’ve been with some of these characters for ten years. Ten! For the original cast, we’ve seen their stories and motivations change over the course of the MCU. Tony Stark (played by Robert Downey Jr.) went from genius tech/weapons dealer to genius billionaire superhero, to broken genius, to now a father figure for a young up-and-coming superhero in Peter Parker. Steve Rogers (played by Chris Evans) arc has swept from pipsqueak Brooklyn boy to war hero to man frozen in time, to renegade enemy of the state. By the time any of these men appear on screen, we know them. Yes, their suits are different, but so are their characters. As pillars of the Avengers, and of the MCU as a whole, they’ve both had to change and adapt to the coming threat of Thanos. To survive, each has had to make a few questionable decisions that have made ripples throughout the movie franchise. And it’s not only the vets. The new blood, like Spider-Man (Tom Holland) and Black Panther (Chadwick Boseman) still have their time to shine. That’s a testament to how well this film gels. Over the years, there have been countless writers and directors who have fed the MCU timeliness. The fact that musical themes, tones, and character consistency is kept throughout is a testament to the Russo brother’s poise for such a film. This is a movie with many stars, some would even say too many. But they managed to balance them out and break them up into smaller, story-driven arcs. Empire Strikes Back took the original cast and split them into 3-4 different threads. Infinity War does the same, and in doing so, avoids the big superhero pileup it could have become. In doing so, this keeps the characters fresh and exciting, while rooting us in the personalities and powers we’ve come to love. In one interview, the co-directors were quick to point out that while the movie is called Avengers: Infinity War, and while this would be the first time audiences would be able to see the cooperative efforts of five different film franchises all on the same screen, this was very much a movie for Thanos. And what a conflict it is. A few months ago, fans were quick to call Black Panther’s antagonist Killmonger, the best Marvel villain ever. While I agree that he was certainly the most nuanced one to date, and easily one of the most memorable (Pop quiz! What was the name of Thor’s Dark World villain? Thought so), Thanos is absolutely the most dominating and imposing antagonists of not just the MCU, but any comic book movie. First, it doesn’t take long to see him as an insurmountable force. 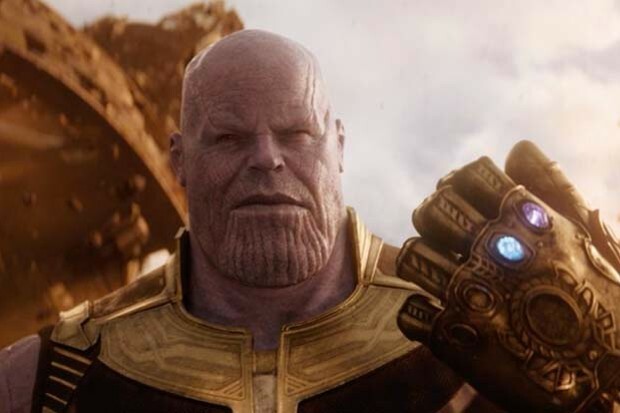 Even without all of the Infinity Stones, Thanos makes his presence felt in the first ten minutes of the film and does not relent throughout the movie. His strength, intelligence, and resolve are all tested and prove to be greater than our dozen or so heroes could ever imagine. As the film continues, his quest for the Infinity Stones– objects which have been the source of every major catastrophe in the MCU– only make him more powerful. In the end, this is absolutely a movie about Thanos. He isn’t a one-note villain. He isn’t evil for evil’s sake. He’s not out for vengeance or ultimate power. Thanos believes himself to be the savior of the universe, and this is what makes him terrifying. While power does play a major part in his struggles with the Avengers, in two of the major battles with the Titan, it comes down to a battle of wills. Which, of course, leads me to my last point. Stakes are the major point of superhero films. If they are too small, the audience feels disconnected to the tiny inconsequential squirmish happening on screen (Ant-Man definitely suffered from this). If it’s too large, it just feels too outlandish to care about. Justice League (2017) struggled because its villain, Steppenwolf, was a CGI nothing-burger who wanted to steal the all-powerful motherboxes to … rule the world or something? I know the comic book importance of these devices, but the film absolutely dropped the ball in why we should care. Infinity War makes every battle count. Part of the reason is that we feel, as an audience, characters can die in a battle. Those stakes are definitely explored at the very start of the movie. This allows for clashes to have more weight and meaning. When a small group of heroes devise a plan to take on Thanos, there’s a definite sense that a loss can occur in their ranks. When Thanos is not in direct conflict with our heroes, his “children” offer just the right amount of resistance to make things both exciting and interesting. More than just mere henchman, these baddies may be flat (in terms of character development), but typically prove to be more than even a small group can handle. Thanos’ plan affects every creature on every planet, and so the scale of the battle seems epic without feeling inflated. And yes, the last ten minutes of the film are definitely threatening to bring the internet down. While the response to the movie’s ending has been mostly positive, many (like myself) wonder what it means for the rest of the franchise. We’ve been building up to the Avengers: Infinity War for ten years. Now that this is over, what can we expect? Marvel was bold enough to make some changes at the end of this arc, and I applaud them for not trying to resolve it with a deus ex machina that would have negated the entire movie. It’s a great step to channeling a new energy into the MCU and it will hopefully prove to be beneficial for the franchise. Avengers: Infinity War is a dark film, but for all the right reasons. We know each and every one of these characters already. As they have grown, so have we. Their world has changed maybe just as much as ours has in the last ten years. Thor is no longer the arrogant, brash fighter. Vision is becoming more connected to the beings that created him. Hell, even Groot has grown up (to a certain degree). Thanos was touted as the biggest most destructive force in the universe- a being that could very well destroy the Avengers (and our entire reality) in an instant. With a dominating villain, a robust cast of stars, and the perfect balance of dark peril and heroic crossover fun, Avengers: Infinity War delivers in every way possible. As long as this provides a new palette to for the MCU use, bring on the next ten years.